Flexible working – how far can you stretch? Since 30 June 2014, all employees with 26 weeks’ service have had the right to request flexible working for any reason. There will be no obligation on the employer to agree to a request, just to consider it. Julie Keir, professional support lawyer at Brodies, looks at how employers should deal with the change. The statutory procedure for dealing with requests has been being abolished. Instead, employers will be able to use their own HR processes, provided requests are dealt with reasonably and decided on within three months (unless an extension is agreed). As is the case now, employers will only be able to refuse a flexible working application for one of the eight listed business reasons. Acas has produced a Code of Practice and non-statutory guidance on the extended right to request flexible working. Rather than detailing a required procedure, the code of practice contains broad principles, including the recommendation that employees be accompanied during discussions and given the right to appeal against a refusal. How should employers prioritise requests? Even if a number of requests are received at the same time from different employees, look at the business case for each application individually. Consider what part of the organisation the employee works in; what role they play; what flexible pattern they have requested; and what impact it would have on their team and the business as a whole. Even if – in theory – all the requests can be accommodated, this may not be possible in practice because of the overall affect it would have on the business. In this case, a decision needs to be made on the number of flexible working patterns which can be agreed to. Think about how the business context will change once one request has been approved. Check whether or not anyone already on a flexible working pattern would be happy to change it, eg by swapping their days off. Consider whether or not it might be beneficial to have a discussion with all the employees who have applied to work flexibly to see if there is any room for compromise. Discuss with the employees why they want to work flexibly. There is no obligation to prioritise and make a judgment on the most deserving request, although there may be a wish to do so. Subject to the business case for each application being equal, there is a strong case for prioritising requests that are likely to lead to a discrimination claim if refused (eg those from an employee who is disabled or who cares for a young child). Also, there may be merit in taking the potential effect of refusing a request into account, particularly where the employee has made it clear that they would be unable to continue working if it was turned down. Acas recommends documenting how to prioritise competing requests in a flexible working policy, and sharing that with the workforce. However, employers need to think carefully before doing this because a “one size fits all” approach might unnecessarily restrict their decision-making in the future. Can employers use waiting lists? Rather than receiving multiple requests at the same time, it is more likely that employers will receive applications on an ongoing ad hoc basis. At certain times the business may not be able to support any additional flexible working arrangements. In this case, a “first come first served” approach might be appropriate, with a waiting list for unsuccessful applicants who would be informed when circumstances change so as to allow their request to be reconsidered. Make relevant staff aware of the extended right to request flexible working. Provide appropriate guidance and training to managers on the obligation to consider requests reasonably and the new three-month timescale. Highlight the need to be able to justify any refusal and the benefits of keeping records of all discussions and decisions. Decide what procedure will be followed in the event of a flexible working application being received. If there is not already one in place, consider introducing a policy for handling flexible working requests. This aids consistency and transparency. Amend existing flexible working policies to reflect the extended right to request flexible working. Consider changing it to allow greater flexibility (particularly in relation to the timing of meetings and outcomes). 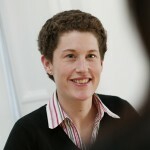 Julie Keir is a professional support lawyer at Brodies LLP.